For belugas, which can live for more than 50 years and reproduce slowly, such changes in habitat have big implications, even at the individual level. 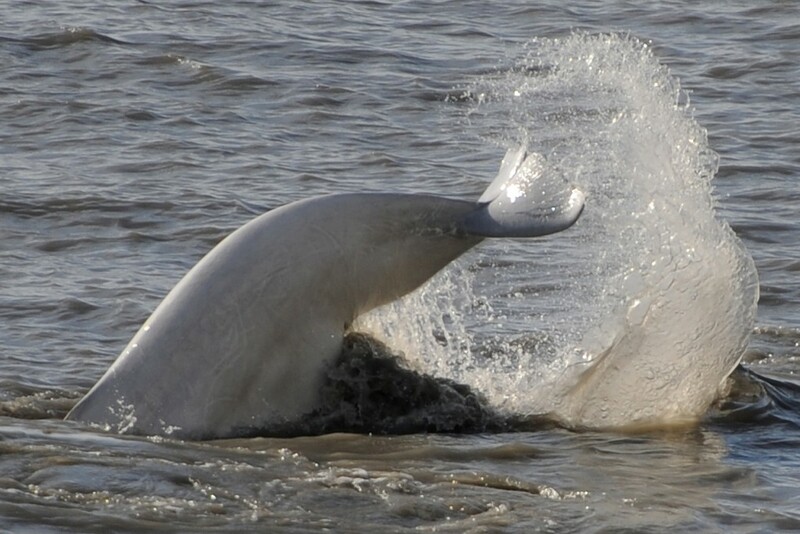 Their long lives “can make them particularly susceptible to broad-scale, sudden, and unidirectional changes,” the beluga study says. Aside from the changes to Chukchi belugas’ migration, there was another important finding: The larger Beaufort Sea beluga population, made up of animals that are genetically distinct from the Chukchi population, has not changed its fall migration, despite ice changes. This difference fits a pattern among beluga populations across the Arctic that are showing varying migration patterns, said Donna Hauser of the University of Washington’s Polar Science Center and the study’s lead author. “It suggests that belugas can respond in a flexible way to changing climate conditions, but not all populations will respond in the same way,” she said. “This is actually something that’s coming up over and over again for Arctic predators,” she said. In September, before they migrate south into their Bering Sea wintering grounds, the Chukchi and Beaufort populations switch places. The Chukchi belugas move to the Beaufort whales’ summering territory off the Mackenzie River Delta and the Beaufort whales shift over to the Chukchi. Led by scarcity in the Bering Sea and in Europe’s Barents Sea, ice extent has been particularly low this winter — and temperatures in the Arctic were high through the early part of the season, Serreze said.